From striped bass with caramelized brussels sprouts to a milk-chocolate cremoso with an espresso parfait, here are some terrific recipes from the Miami-based chef. 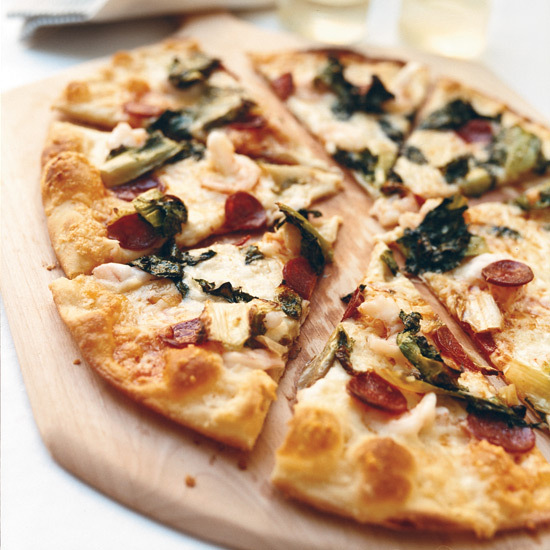 "I don’t know if I invented this combo, but since I don’t remember stealing it from anyone, I’ll take the credit," says Michael Schwartz of his ingenious pizza topping of shrimp, escarole, tangy Manchego and spicy chorizo. He gets his chorizo (the firm kind; the soft one would make the pizza too greasy) from Miami’s El Palacio de los Jugos marketplace. 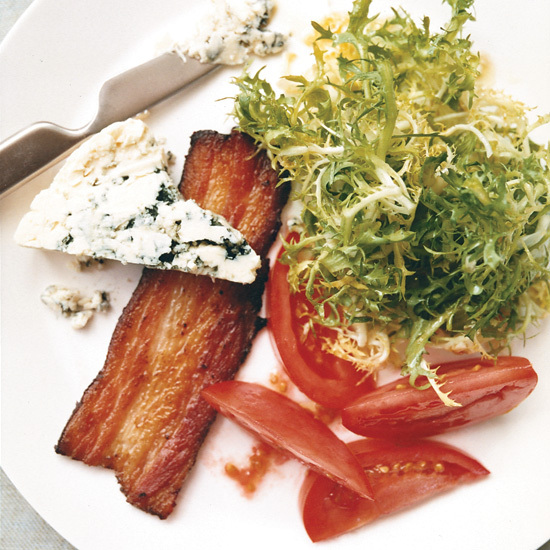 In his cute version of the BLT sandwich, Michael Schwartz replaces the mayo with a wedge of blue cheese. He cures his own bacon, but the salad is delicious with any good artisanal bacon. "They can never be too thick," he says. Michael Schwartz is a firm believer that everything is better with bacon (or some kind of cured pork). 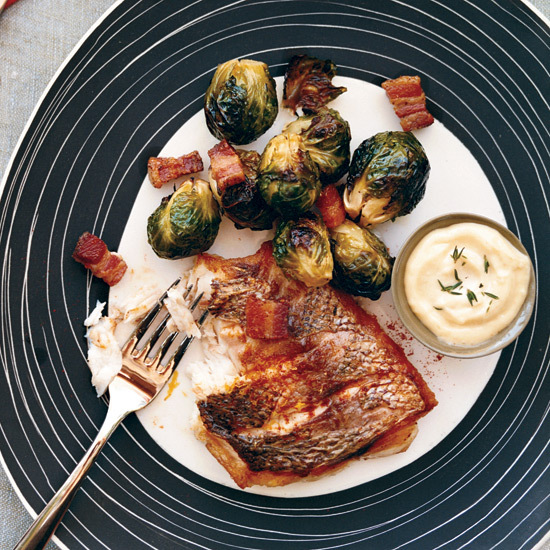 That’s why he sautés brussels sprouts in pancetta to make them rich and meaty, then serves them alongside striped bass simply pan-roasted with salt and pepper. A tangy lemon aioli completes the dish. "I love thinking of alternatives to classic steak and potatoes," says Michael Schwartz. 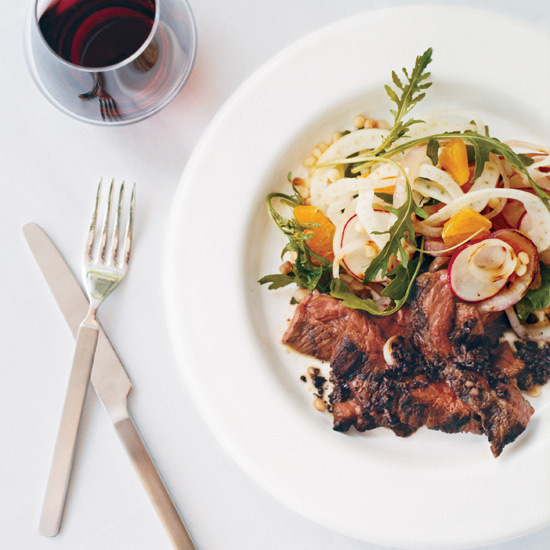 His Mediterranean-inspired skirt-steak salad is a wonderful mix of just-seared slices of beef, cool and crisp fennel, chewy fregola (the Sardinian dot-shaped pasta) and juicy oranges, finished with a drizzle of briny black olive tapenade. 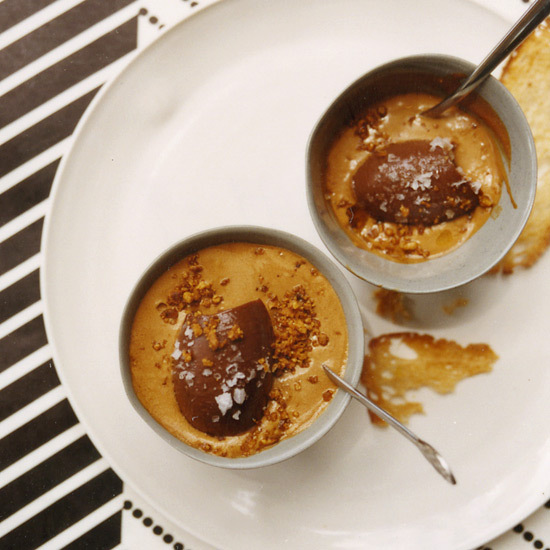 Although Miamians are assumed to be too bathing-suit conscious to indulge in dessert, this decadent milk-chocolate cremoso (a silky pudding-like dish) drizzled with olive oil is one of chef Michael Schwartz’s best-sellers. "Some people are like, 'Whoa...olive oil and chocolate?'" Schwartz says. "But the olive oil reinforces the richness of the cremoso. As if you need any more richness."